Arsenal and Tottenham Hotspur target Benjamin Pavard has emerged as a potential summer transfer target for Serie A giants Napoli. The 22-year-old French defender’s performances in the World Cup have further increased the noise surrounding his future at Bundesliga outfit Stuttgart this summer. Stuttgart have made it clear that they want to keep the France international for at least one more season, but that has not deterred his suitors from making moves to sign him. Arsenal, Tottenham, Borussia Dortmund and RB Leipzig have been keeping tabs on the defender for a while and there are suggestions Bayern Munich have been in touch with his entourage to discuss a potential switch. 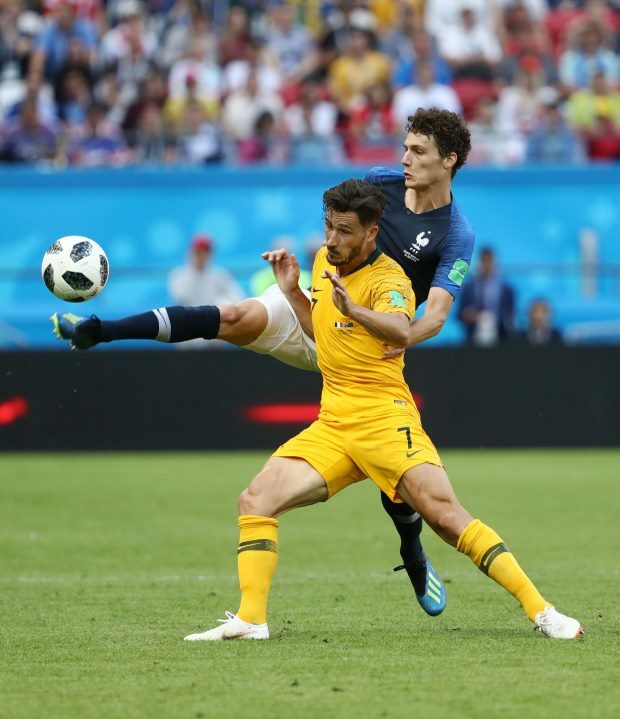 And it seems there is fresh interest in Pavard from Italy as according to Italian daily Corriere dello Sport, Napoli are considering making a move for the Frenchman in the ongoing window. The Serie A giants are in the market for defenders and the young French centre-back has emerged as a possible target for the club. Pavard has been clear about his ambition to play in the Champions League, which Napoli could offer, but it remains to be seen if he would to force his way out of Stuttgart this summer if the Bundesliga outfit are not keen to sell him. He has a contract until 2021 with Stuttgart.